From the moment you arrive, old world charm permeates your dining experience through authentic Mexican colors and rustic folk art. Traditional amate gods greet you at the front entrance and brightly colored papel picado hangs from the ceiling. Corn tortillas are made on site and an exposition grill further seduces your senses. 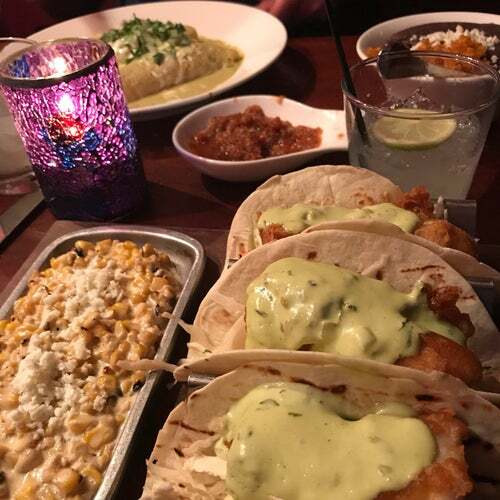 With its warm ambience and outstanding cuisine, this Rosa Mexicano location has remained a perennial New York favorite for over 20 years. The food is almost authentic Mexican cooking. The atmosphere is pleasant. Several sports celebrities can be seen ordering take-out.